The case against Oklahoma residents Mickie Lynn Carter and Charles Tramble will go back on the jury trial docket. The pair’s trial was scheduled this week along with a multitude of other criminal cases in McCurtain County. District Attorney Mark Matloff says the cases with defendants in custody take precedent. “At any time we have fifty to a hundred cases on the trial docket. Some will make it to trial, some will plead out.” Due to the current docket load Matloff says this case will be at least three months out. Matloff said earlier this year that Carter and Tramble, “will go to trial” for their alleged role in the Arkansas stolen horse case. Both are charged with knowingly concealing stolen property and could face up to five years in prison if convicted. 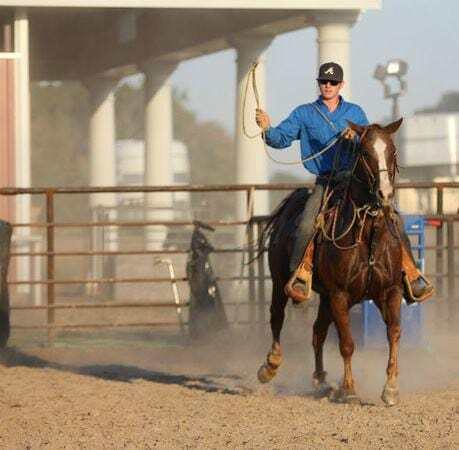 The two are accused of allegedly hiding the items that were stolen from the Arkansas rodeo team students – including tack and a horse trailer. Carter is related to Wendie Cox, the mother of defendant Jaci Rae Jackson. Cox told Carter that “there was a horse trailer at her [Carter’s] house and that it was full of tack and she could help herself to it” according to court documents. Jackson’s preliminary hearing is currently scheduled for May 14 in Oklahoma. She is accused of being the mastermind behind the Arkansas stolen horse theft that left the horse Credit Card death. Carter and Tramble remain free on bond.